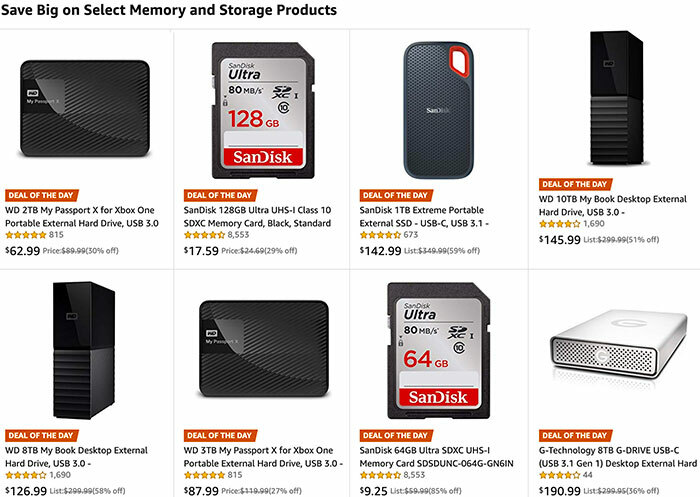 Today only on Amazon: Save Big on Sandisk, Western Digital and G-technology cards and drives! previous post: Last day of the European Amazon Spring Deals! next post: Canon EOS-RP killer? Sony A7II with 28-70mm lens for $998!